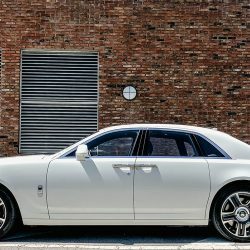 Rolls-Royce has designed the Rolls Royce Ghost for the driver and it shows in just how responsive it is. The car still coddles the driver with smooth suspension, transmission shifts, and acceleration. There’s little to no resistance during gear shifts and the vehicle glides smoothly along the road. But this doesn’t mean the Ghost provides no feedback at all. The well-engineered steering system provides a satisfying resistance during turns even though the vehicle moves smoothly. 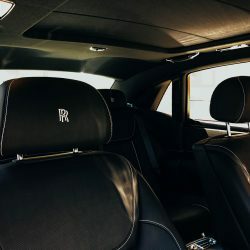 Rolls-Royce adds a Rack-Pinion steering system with a comfortably-sized steering wheel with a thicker rim. This provides greater comfort and control to the driver. 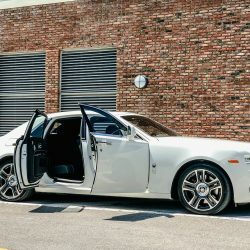 Cars of similar size, weight, and dimensions often suffer from poor ride quality. That’s not the case with Rolls-Royce. They have learned a lot from BMW’s precision engineering, which is why the vehicle is so perfectly tuned. The riding experience is smooth, without any bumps and rattling along the way, thanks to excellent suspension and transmission systems. 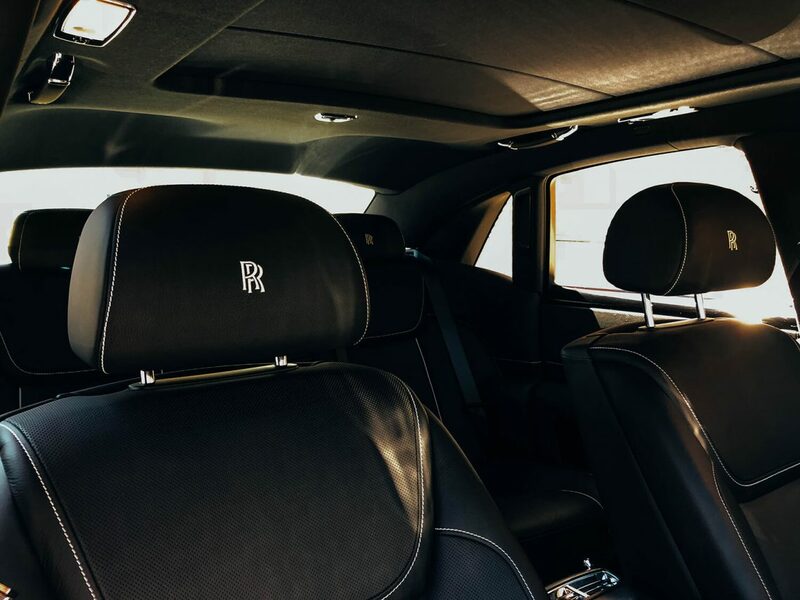 The Rolls Royce Ghost is a market leader when comes to rider comfort, which is why this vehicle is in high-demand. 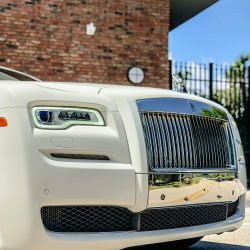 This vehicle is engineered to be a milder, more usable version of the Rolls-Royce Phantom. 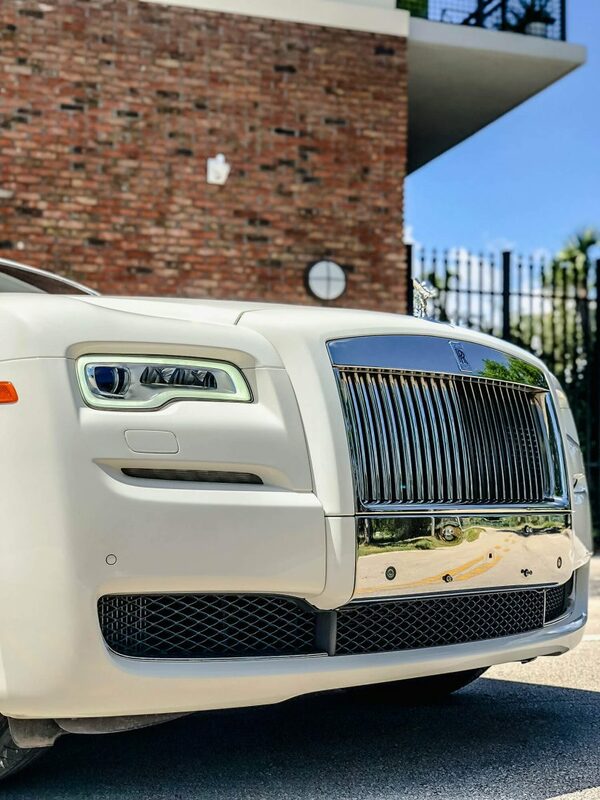 The cars share similar design language, but the Rolls Royce Ghost is somewhat more approachable and more suitable for everyday driving. It’s a little smaller but just as attention-grabbing on the streets. 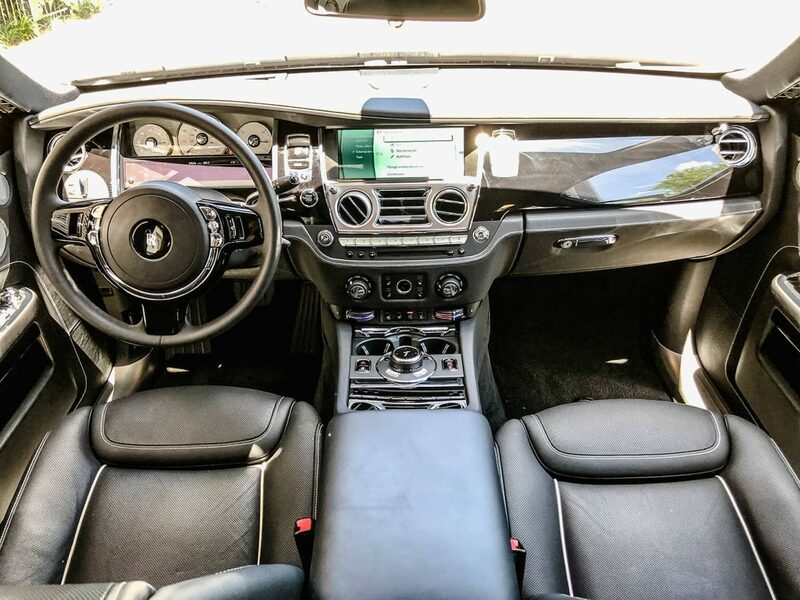 Electronics and intelligent driving systems enhance the entire driving experience. All controls are easily accessible and responsive. The iDrive systems provide information regarding traffic conditions, speed limits, and other data needed to drive safely. 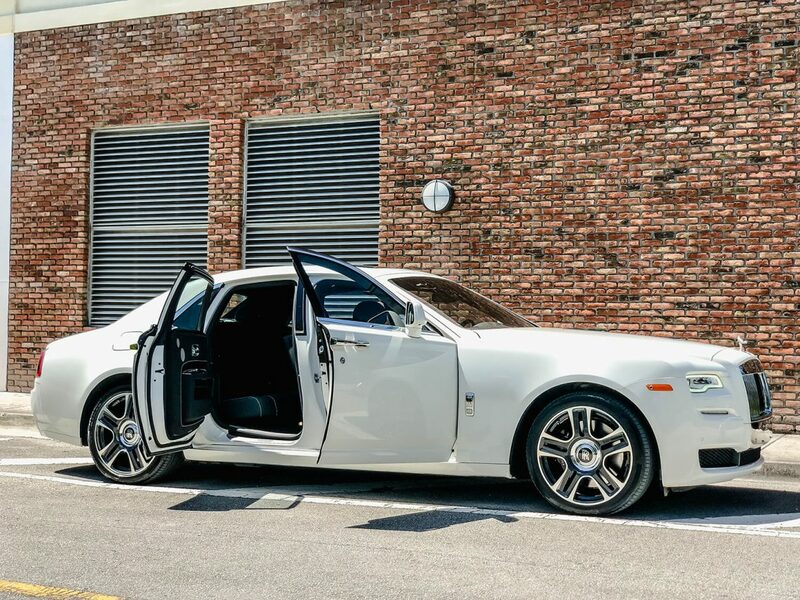 With the Rolls Royce Ghost, you can enjoy comfortable, distraction-free driving in all kinds of road conditions. The long-distance drive is a breeze in this spacious cabin with excellent HVAC systems.